Another week, another fun episode of Sound Session. On episode #591, DJ Nphared and I ran new records from David Banner + Black Thought, The Cool Kids, Joey Badass, Swindail + Innanet James, Gorillaz + D.R.A.M. + Bonobo, GoldLink + Mya, Tom Misch, Kendrick, and more. We even had a record so good, we had to temporarily suspend our longstanding “Migos Free Zone” rule. And if that wasn’t crazy enough, Desiigner called in to make weird noises and talk about working with Kanye/Mike Dean/Pusha, his new album, tour life, and more. 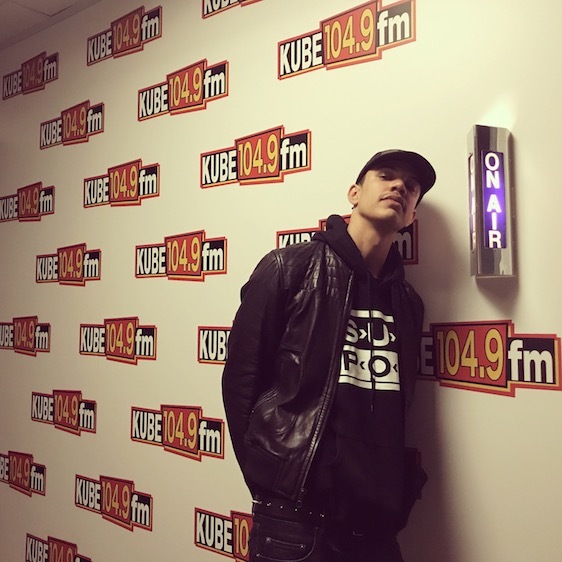 Oh, and one of the dopest MC’s in the Northwest (and nationally, truth be told), Porter Ray, dropped by to talk about his new Watercolor project on Sub Pop. Cop that if you haven’t already (Sub Pop / Apple / Amazon / Google)! If you’d like to be added to our weekly email list to receive the playlist and stream/download links after every show, just shoot me an email, DJHyphen@gmail.com.